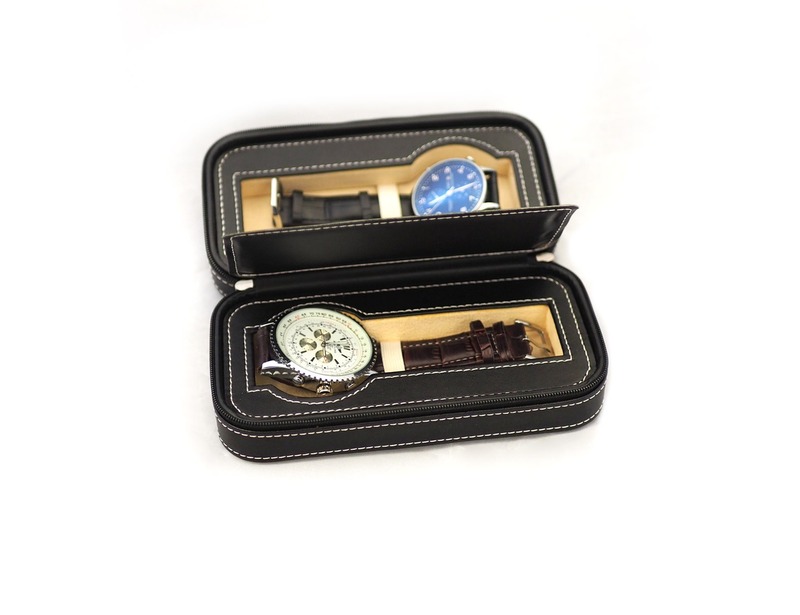 A double watch case in genuine black leather. 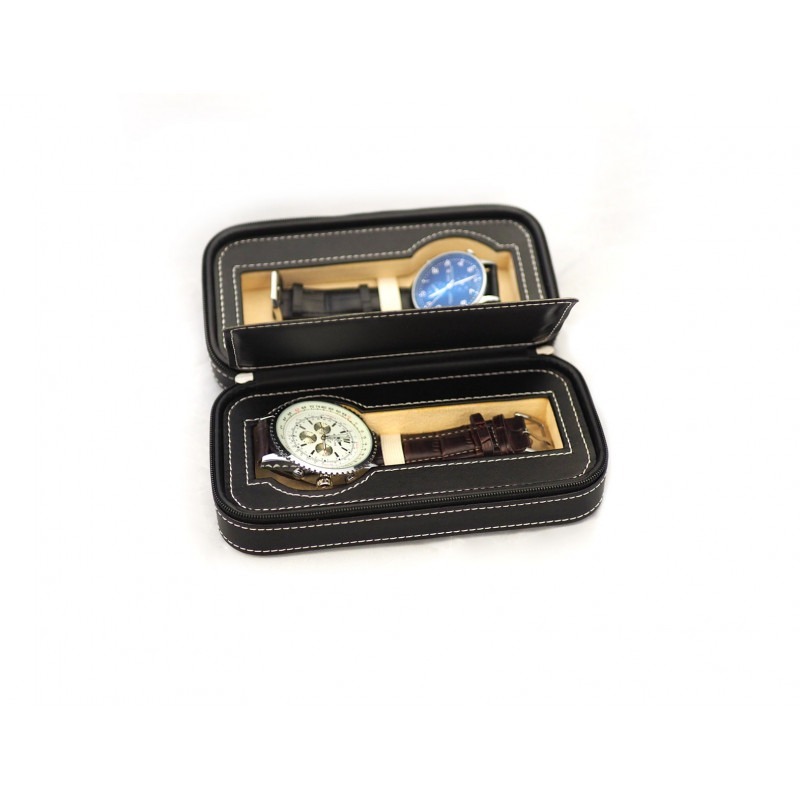 Durable zip seals both watches inside the case's tough exterior shell while cushioning them in soft velvet for their protection while you travel. 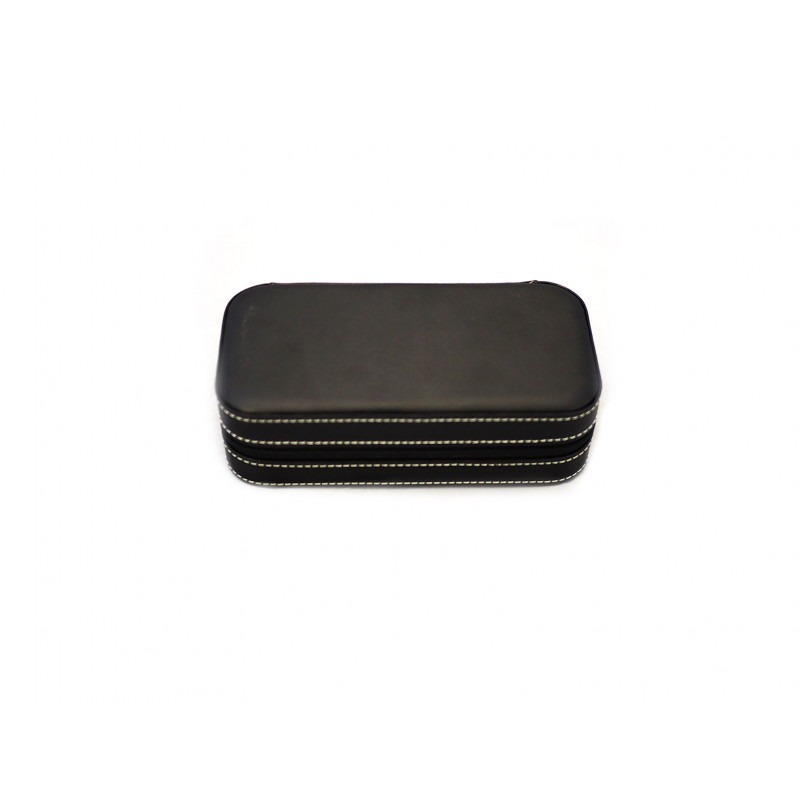 Exterior measurements are 7" x 3.25" x 2.25"